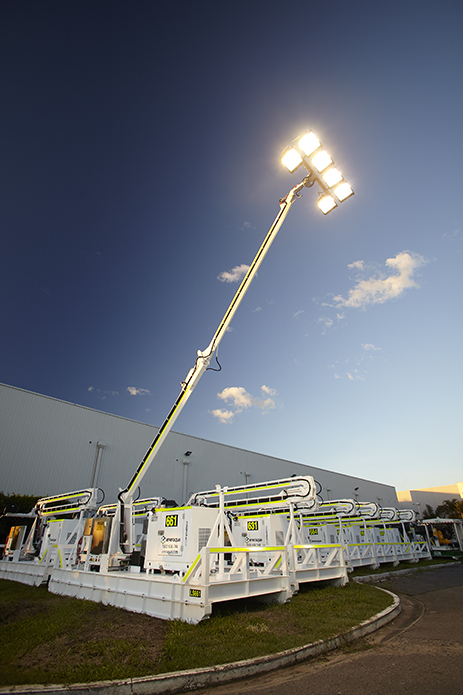 This project involved supplying a large quantity of various lighting tower models for use on current and new sites. 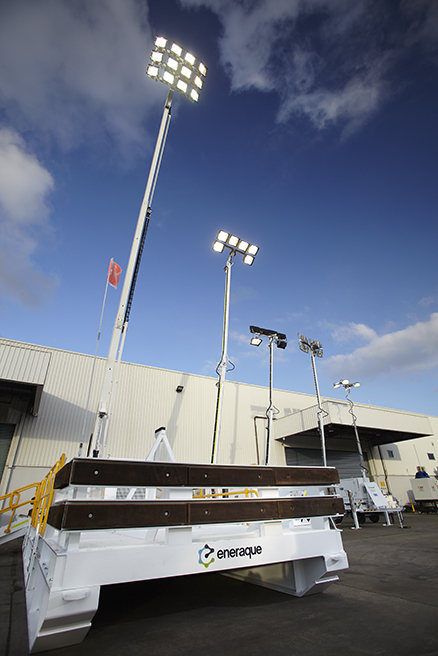 The first model M66 is mine spec heavy duty tandem trailer mounted lighting tower, which has a boom reach from ground height of 10 meters. 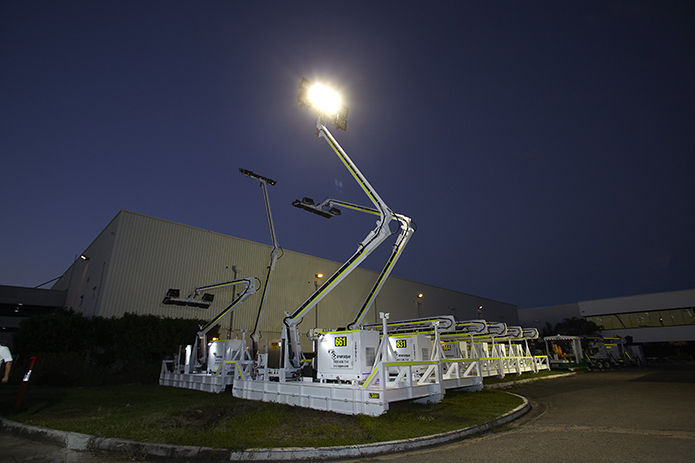 These units have been fitted with 6 x 1000 watt lights. 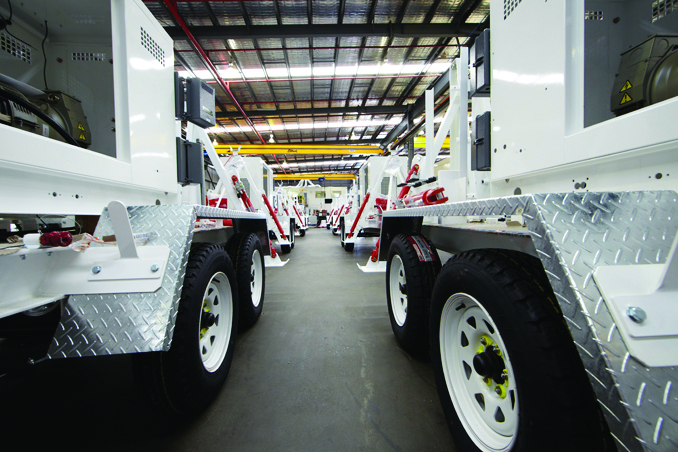 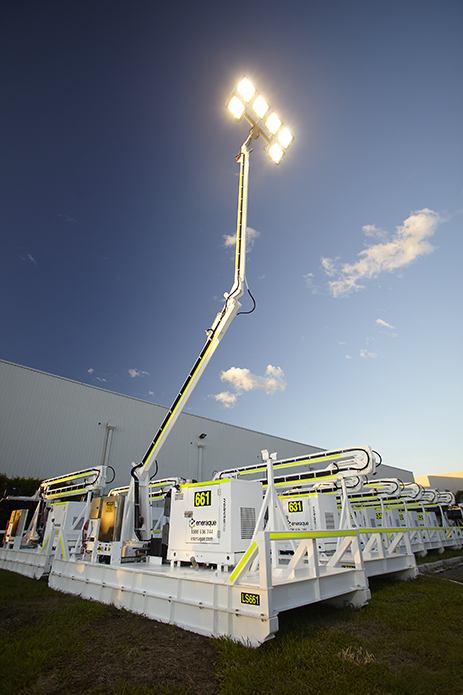 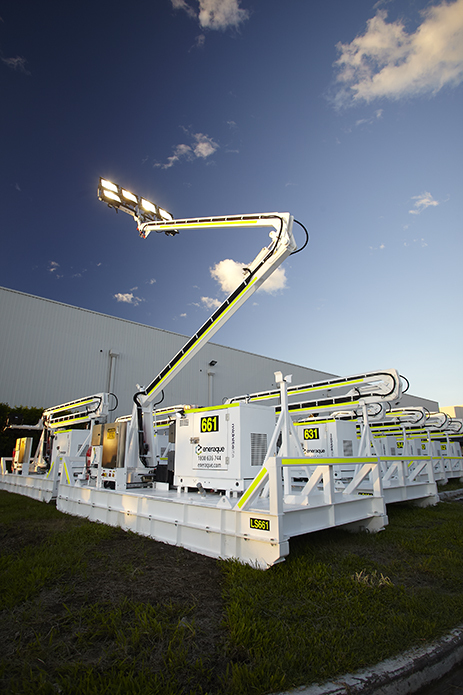 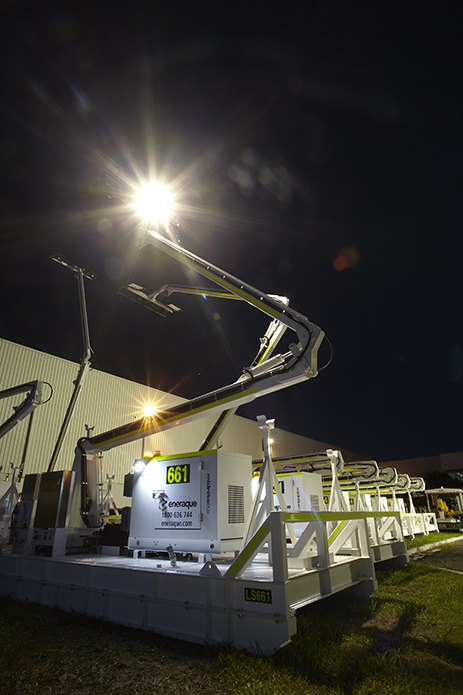 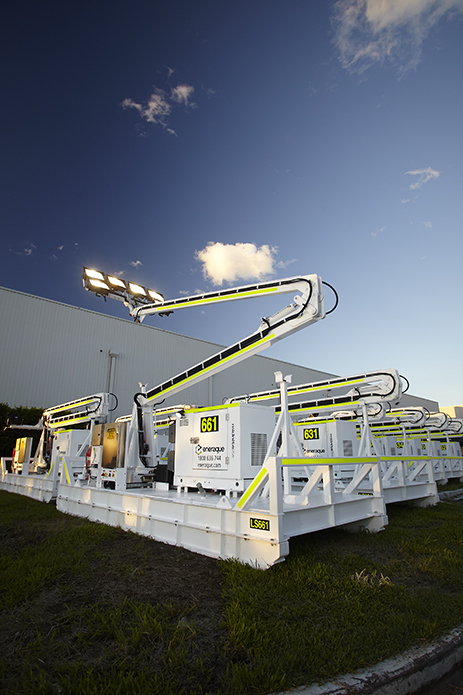 The second model is the S66 skid mount unit which has a boom height of 13 meters and is also fitted with 6 x 1000 watt lights. 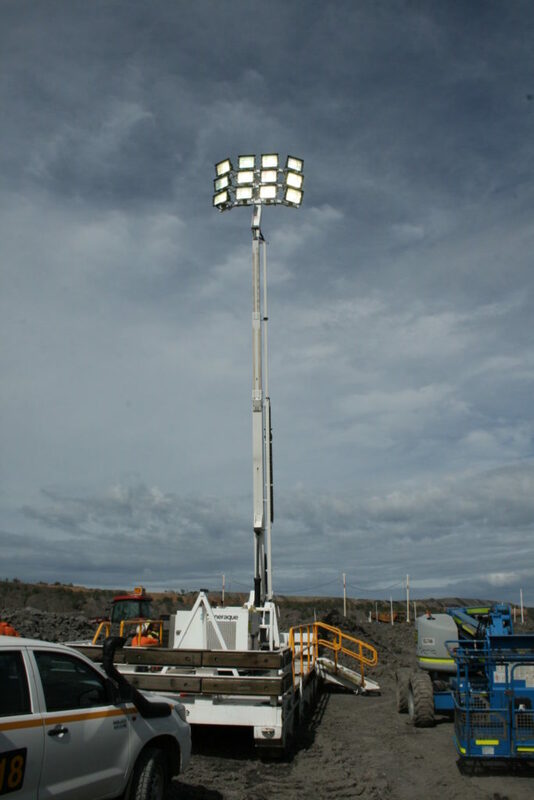 This lighting tower has been fitted out to suit the client requirements, to provide safe lighting to all mining areas on the sites. 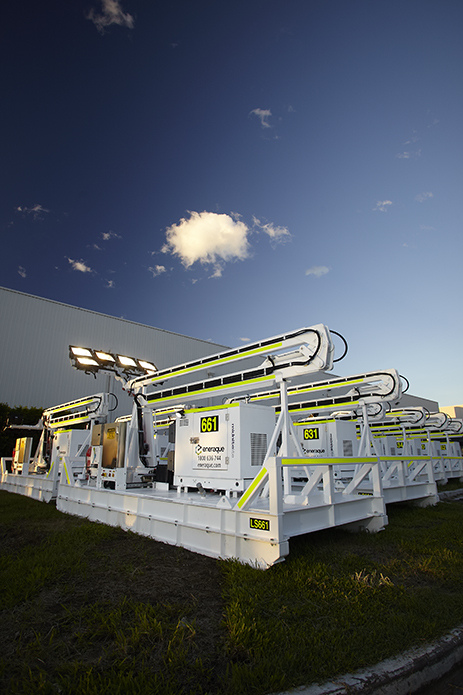 The last model supplied to Bechtel is our S1224 super skid. 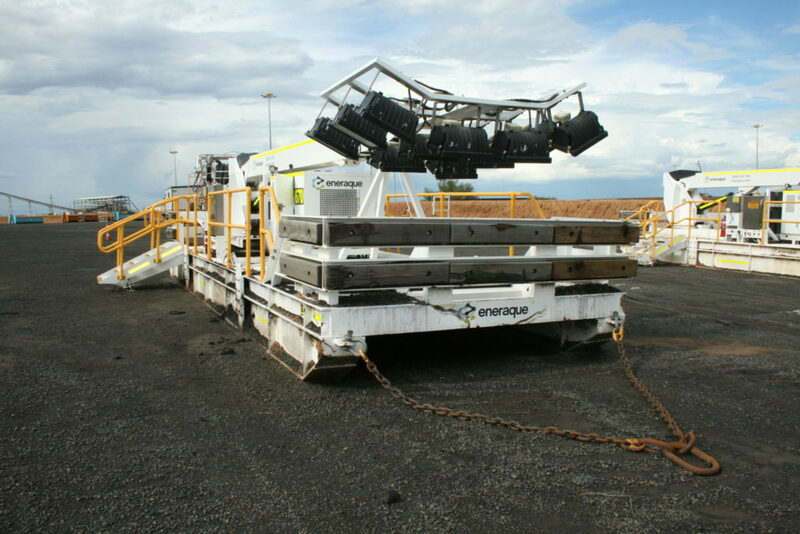 This model has been designed to have an impressive 15 meter horizontal reach after clearing the skid. 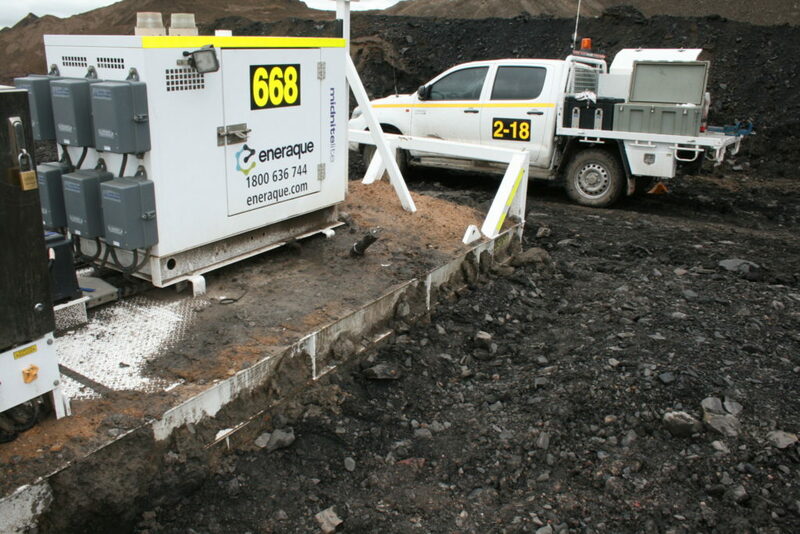 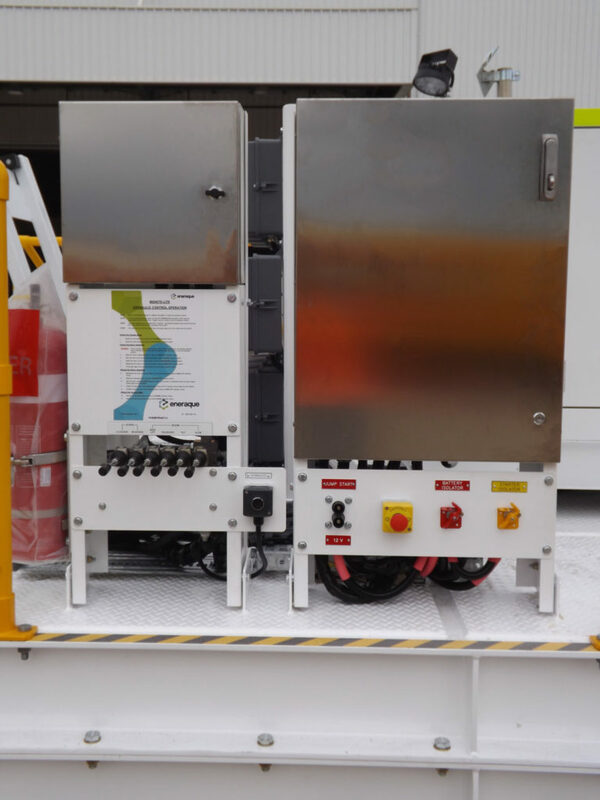 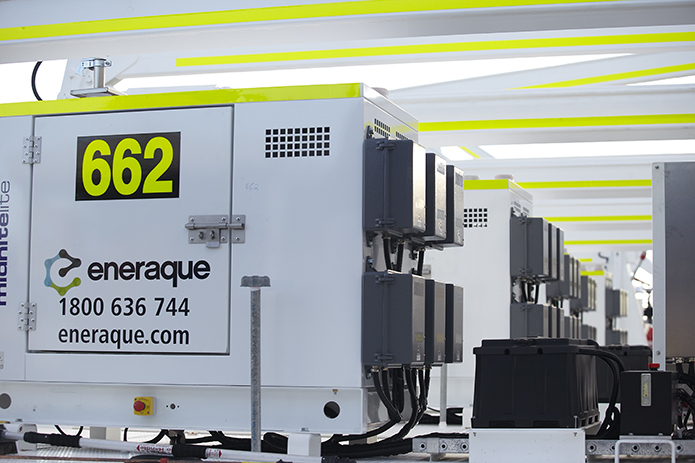 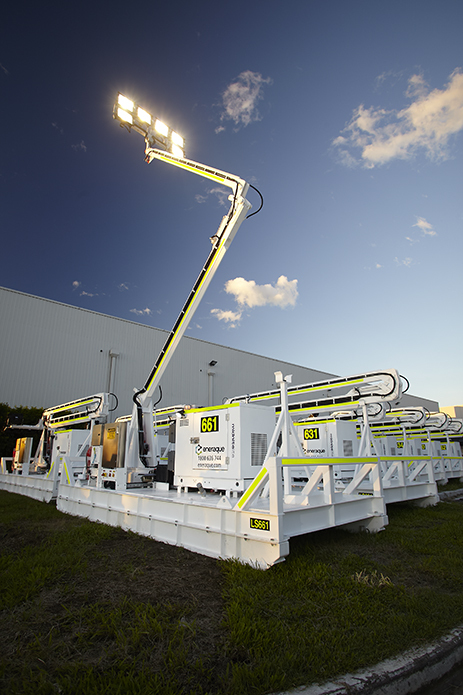 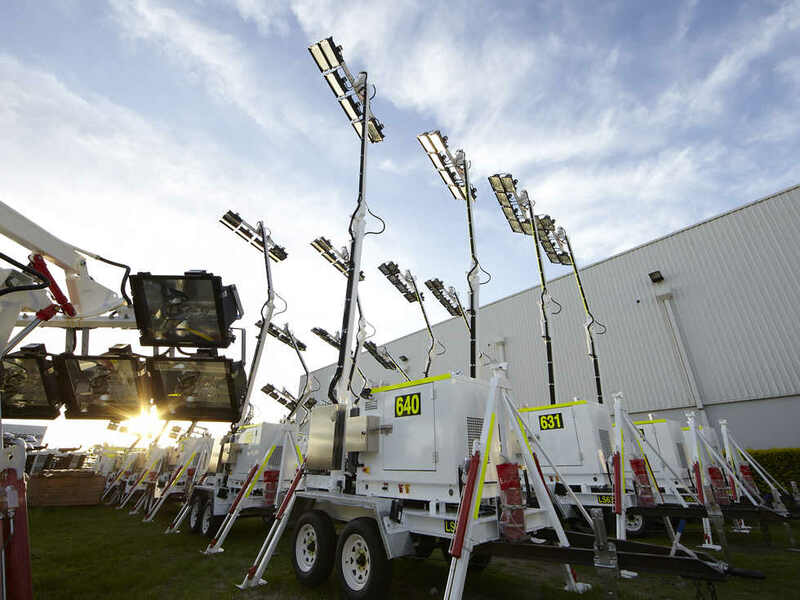 This unit operates 12 x 2000 watt lights, and will provide effective safe operation and stadium style of lighting for the highwall into the mining pit. 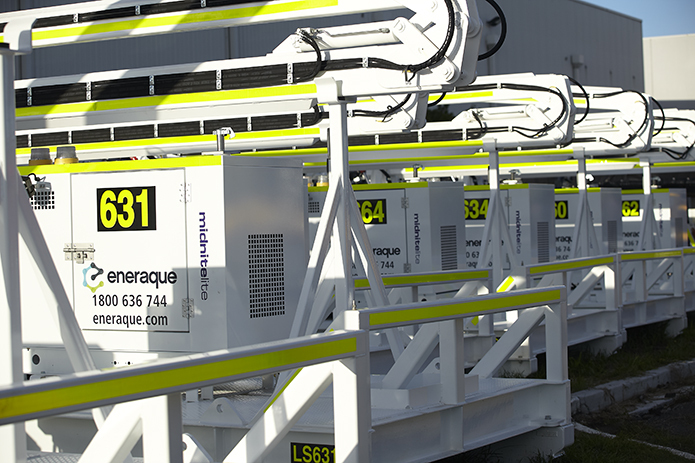 All of these models have been designed and engineered within the Eneraque Company and manufactured by our Eneraque workshop team to suit the specifications detailed by our client for all three models. 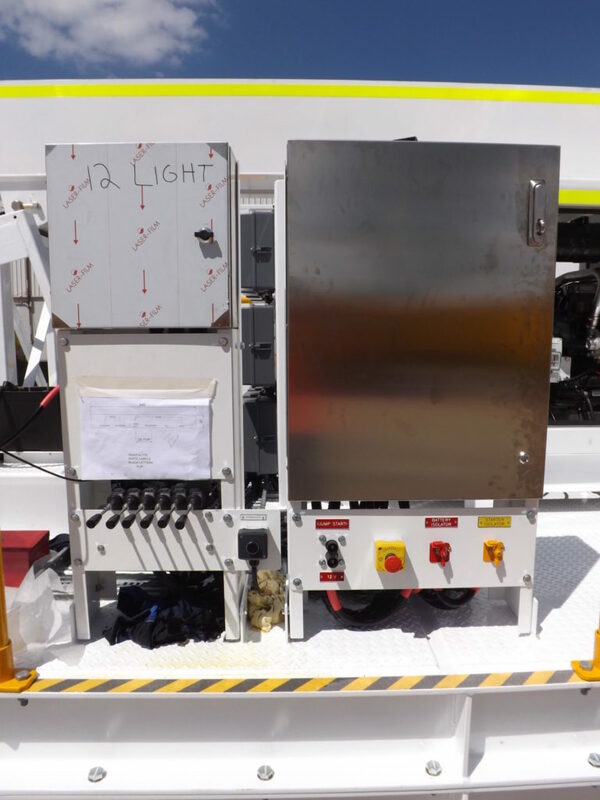 This involved a number of engineering and designing challenges to meet it the client’s requirements whilst meeting all Australian standards and all relevant mining standards. 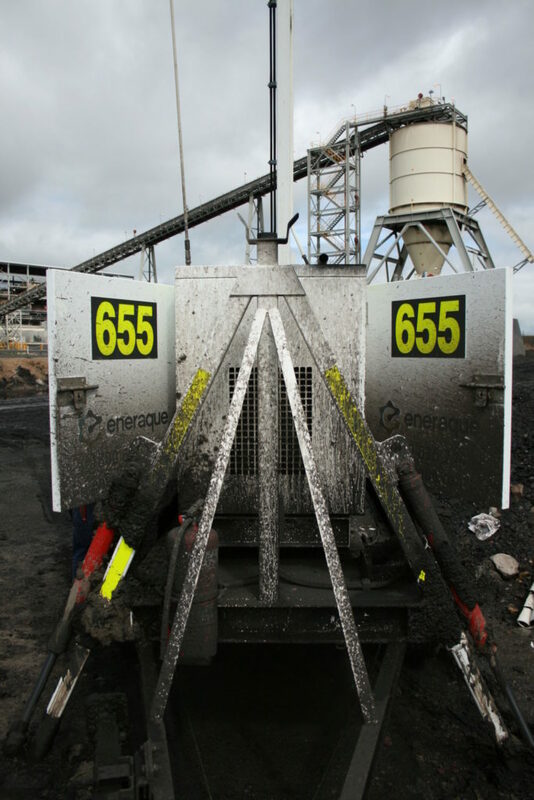 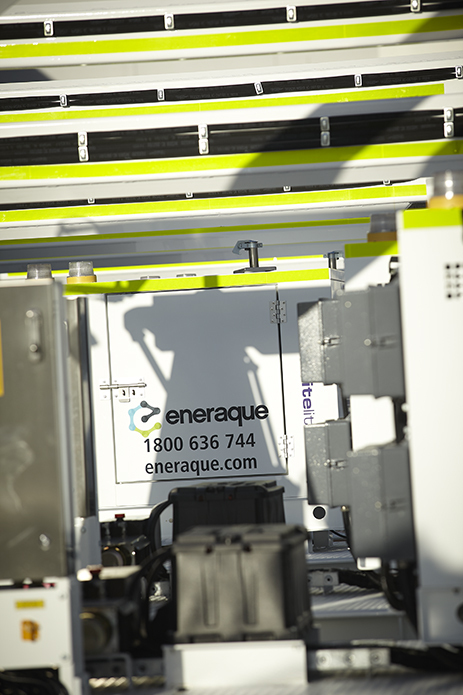 Eneraque project managed the entire project including documentation submittals, maintaining MRB (Manufacturing Record Books), organising BMA inspections, QA inspections (external and internal inspections).